Spring is just around the corner and we are a buzz with new wines, our Spring Wine Club Release, pruning in the vineyard and upcoming events! Our 2019 Spring Allocation is coming soon and set to be released on Saturday, April 13th at the Winery! We are proud to bring you wines for Spring that embody the honest hard work, coastal character, persistent curiosity, and caring relationships that Port Townsend Vineyards cultivates. We are excited to feature our 2017 Merlot, 2018 Pinot Gris, and our gold medal award winning 2016 Reserve Cabernet Sauvignon in our standard packages. Important information is shared via email, so look out for the club email coming March 11th which will include more details about these wines, the "Swing into Spring" Pickup Party, and key dates you'll want to know. Our wine club exclusive for the month of March is our 2018 Pinot Gris. Come in for a taste, glass, or bottle of this bright Pinot Gris with aromas of satsuma zest, snapdragons and clover flower, and flavors of tangerine, pomello, raw almond and parmesan rind. Club Members: Don't forget you can update your membership at any time! From your online account, you can edit your profile, update your credit card information, add a shipping address, and view club allocations when they come available. You can always stop into either tasting room as well, where our staff can update your account while you enjoy a glass of your favorite wine! Club members: Have you seen our new 2019 Wine Club benefits? Available now, all three club levels will feature additional benefits for events, classes, tours, and more. You'll still receive early access to new-release wines, two complimentary varietal tastings per visit, discounts towards wine bottle and by-the-glass purchases, and two club allocations per year. For this March and April only, Quimper and Olympic members have access to host events for up to 25 people at our Taylor Street Tasting Room. Nestled downtown near the Rose Theater, our Taylor Street Tasting Room is an intimate spot, perfect for an upcoming birthday or anniversary party you are planning for your closest friends and family. 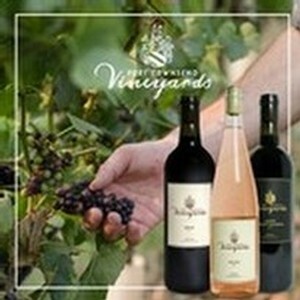 For more information email events@porttownsendvineyards.com. Be sure to visit us at this month's Taste Washington expo in Seattle, March 30th & 31st. 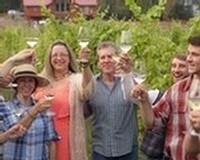 Come chat with our winemaker, owners, and coordinators and enjoy tastes of our brand new 2018 Estate Siegerrebe, 2016 Syrah, and 2016 Chardonnay, along with snacks and wines from some of the state's premiere purveyors. We hope to see you there! Come and check out live music at the Taylor Street Tasting Room every Saturday evening! During the month of March, we're featuring eclectic music experience with Larry and Diane (3/9), acoustic evening with My Real Job (3/16), guitarist Brian Douglas (3/23) and clarinetist & saxophonist Jonathan Doyle (3/30). Grab a drink and settle in for some lovely tunes. A new tasting room that blends the best of all worlds is opening soon in the heart of downtown. Featuring a wine bar and waterfront patio designed for wine tasting and small bites, we're excited to bring you the next phase of Port Townsend Vineyards. No one said it would be easy. Growing grapes on the fringe -- as we are doing here in this far corner of the continental US within the cool reach of the prevailing north Pacific breezes -- is a challenge that demands the best of those that work the land and vines. In almost every aspect of the growing, we try harder and work smarter than those with more favorable warmth, soils and winds. With our planting, we pay special attention to micrositing, which takes into consideration the plant's aspect to the sun, exposure to breezes, and the flow of cool evening air as it rolls down hill from the forest. Every leaf needs access to the sun to wring the most of its meager rays. Using organic farming methods like cover crops, compost and teas, we encourage, feed and maintain a vibrant microbe population to get the most of our glacially placed soils. When you look at wine regions around the world, it’s often the fringes that yield some of the most interesting results, wines that stick out from all the rest and create their own niche in the cellar and with creative food pairings. The wines we grow in Port Townsend will always have a lower alcohol level and a certain grace to them that couldn’t come from grapes from the eastern side of our state. We will continue to craft wine with grapes from different zones throughout the northwest to create the broadest lineup of wines of any winery in the state, but I’m particularly excited with how our locally grown grapes will add to this diversity. We’ve had the distinct pleasure this past vintage of playing with our very own grapes that we grew right here in town. We had a nice little harvest of Siegerrebe, Madeleine Angevine, Garanoir and Golubok. The first two have made light and pretty whites, the latter two an interesting rosé and a port, respectively. None of them taste anything like any wines I’ve tried before. It’s been fun seeing how the grapes respond to neutral barrel fermenting, lees stirring and the native yeast gathered from our own vineyard. They will all be on the lower range of alcohol level, which should give them a nice role at the table, either as an aperitif or with lighter foods that many wines wouldn’t play well with. And overall they should complement our lineup well. We’ll be releasing these wines over time, so please keep an eye out for them. We’re pretty excited about their uniqueness and potential. I hope our guests are as keen to try something homegrown and new as much as we are. It’s going to be a fun journey of discovery and experimentation over the years with the grapes from our sweet little vineyard in our own little corner of the world. I don’t think we’re ever going to get bored.